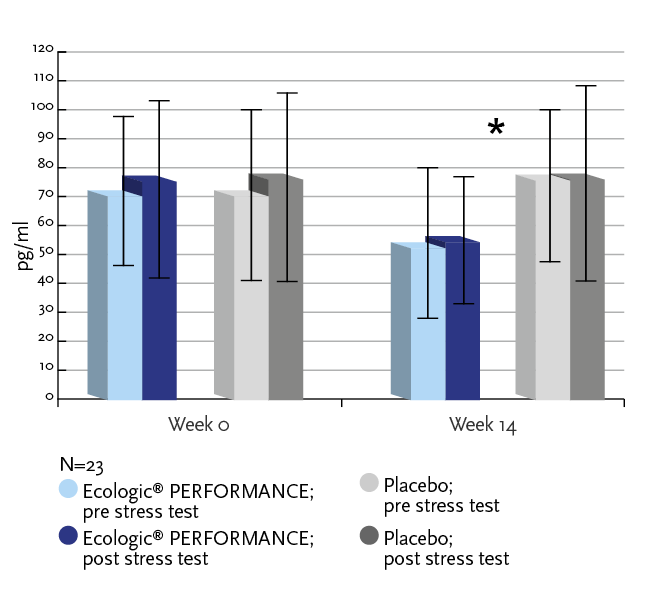 Figure 1: Ecologic® PERFORMANCE is a multispecies probiotic developed to reduce stress associated adverse effects. positively influence the immune system (level 3). Life is full of deadlines and demands, which can cause stress. Stress may have a physical or mental cause, such as endurance sport or exams. For many people stress is so usual that it has become a part of life. However, stress has adverse effects, such as a ‘leaky gut’, oxidative stress and low-grade inflammation (figure 2). Probiotics are able to reduce these adverse effects. Figure 2: Physiologic effects of stress. Stress leads to altered release/response to neuroendocrine factors, acting directly or indirectly on the gut wall, inducing barrier dysfunction and uptake of damaging substances from the lumen. The resulting inflammation causes disability and increases stress. 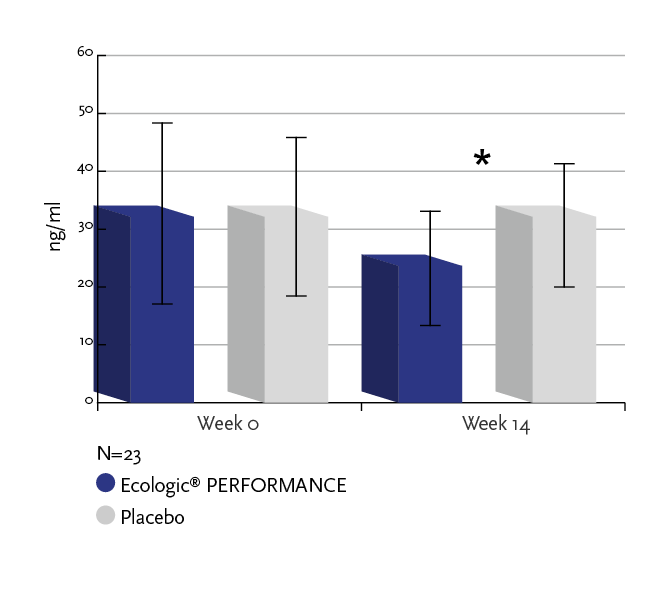 Figure 2: Ecologic® PERFORMANCE is a multispecies probiotic developed to reduce stress associated adverse effects. Figure 3: Effect of Ecologic® PERFORMANCE on stool zonulin concentration. * After 14 weeks of supplementation there is a significant decrease in zonulin concentration in the Ecologic® PERFORMANCE group compared to the placebo group (p=0.019). Figuur 4: Effect of Ecologic® PERFORMANCE on TNF-. concentration. * After 14 weeks TNF-. was reduced by a trend in the Ecologic® PERFORMANCE group compared to the placebo group (p=0.054). Lamprecht M et al. Probiotic supplementation affects markers of intestinal barrier, oxidation, and inflammation, before and after intense exercise; a randomized, double-blinded, placebo-controlled trial. J Int Soc Sports Nutr. 2012;9:45. The research formulations of Ecologic® are not sold as consumer products. However our worldwide business partners offer a selection of the formulations their own branded product(s). Thus the specific bacterial compositions can be found in different products around the world. 1. Söderholm JD et al. Stress and gastrointestinal tract. II. 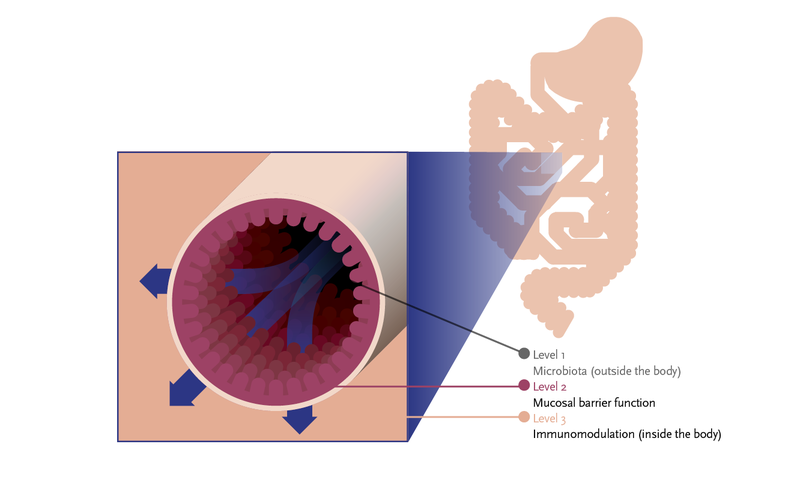 Stress and intestinal barrier function. Am J Gastrointest Liver Physiol. 2001; 280(1):G7-G13. 2. Cohen S et al. Chronic stress, glucocorticoid receptor resistance, inflammation, and disease risk. Proc Natl Acad Sci U.S.A. 2012; 109(16):5995-9. 3. Marcos A et al. The effect of milk fermented by yogurt cultures plus Lactobacillus casei DN-114001 on the immune response of subjects under academic examination stress. Eu J Nutr. 2004; 43(6):381-9. 4. a. b. c. Lamprecht M et al. Probiotic supplementation affects markers of intestinal barrier, oxidation, and inflammation, before and after intense exercise; a randomized, doubleblinded, placebo-controlled trial. J Int Soc Sports Nutr. 2012;9:45. Ecologic® is a unique range of clinically supported, indication specific probiotic formulations. The formulations are not available on the consumer market under their respective names. Instead, the specific bacterial compositions of the Ecologic® formulations are marketed by our worldwide business partners as an ingredient in their respective consumer products.